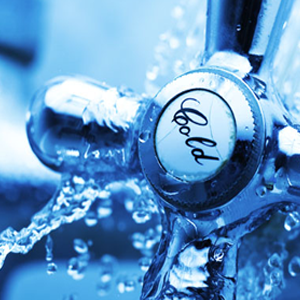 At C & M Servicing Ltd we provide a complete service, whether you are looking to install a new boiler or dishwasher, right down to a blocked drain, then look no further than us. At C & M Servicing Ltd we have the experience and qualifications to be well equipped to carry out all types of heating work quickly and efficiently. Whatever your requirements may be, we are more than happy to discuss your needs and requirements and offer a solution..
C & M Servicing Ltd are offering a vast amount of experience providing you with the peace of mind in delivering the complete Property Maintenance Service needed. C & M Servicing works with a wide range of clients. Whether you have a caravan on the North Norfolk coast, a town house in Cambridge or anything else in between C & M Servicing are here to help. C & M Servicing Ltd is your local independent Plumbing & Heating company, offering a wide range of property maintenance services to Landlords, Letting Agents, Private Households and Commercial customers. C & M Servicing Established in 1995 we have the knowledge and experience to provide comprehensive Servicing, New Boiler Installations , Landlord Gas Safety Certificates and Compliance as well as all Plumbing, Electrical Services and General Property Maintenance. We pride ourselves on offering a professional and friendly service whilst always maintaining a high standard of customer satisfaction, giving you complete peace of mind at all times. If you are looking for a friendly, fully qualified engineer to carry out any aspect of work on your property then call one of our team who will be happy to help. "I have always received good service from C & M Servicing Ltd. Timing and quality have always met my expectations..."
"Thanks for the work you have done, we are very pleased and have already passed your name on to a couple of people. One of ..."